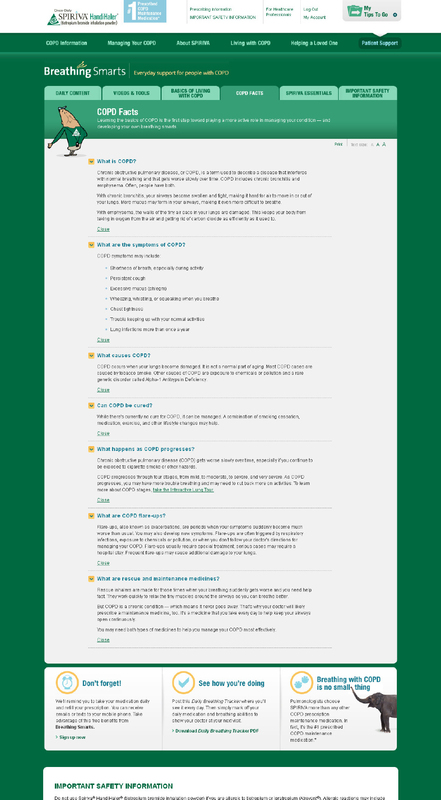 When research showed that many COPD patients failed to use Spiriva once daily as directed, Spiriva needed a way to increase compliance. 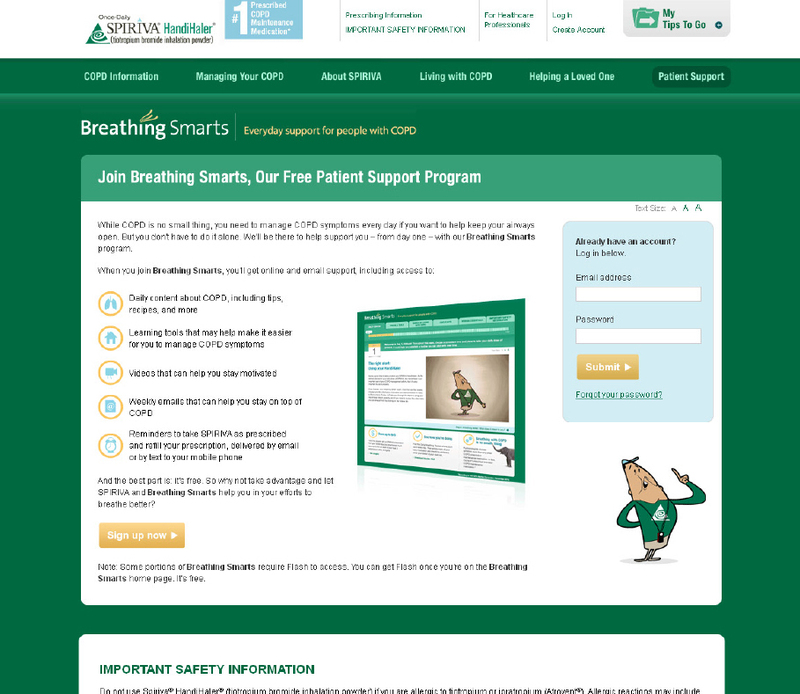 The result: Breathing Smarts, a comprehensive online support program that helped patients form healthy daily habits to manage COPD. 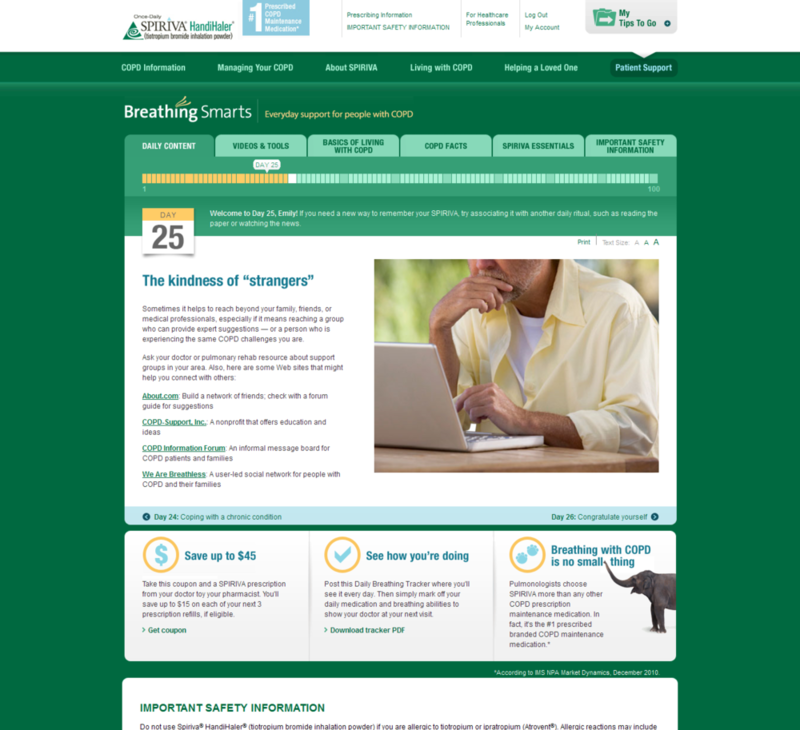 Features included: weekly e-newsletters, videos, interactive tools, as well as refill and daily medication reminders.